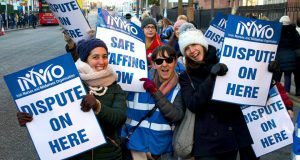 In announcing the nurses’ overwhelming decision to strike, INMO President, Martina Harkin-Kelly said: “We’re standing up for safe staffing, fair pay, and for our patients, who deserve better care”. 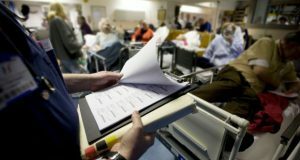 Decades of under-resourcing, compounded by austerity since the crash, have left us with 2,000 fewer nurses than in 2007 and less than two-thirds of the recommended number of hospital consultants. As with nurses, recruitment and retention of doctors and other healthcare professionals is difficult due to increasingly intolerable working conditions. The nurses’ strike is therefore a strike not just for nurses but for all public healthcare workers. Eleven billion in austerity cutbacks from 2009 -2017 have reinforced the two-tier system nature of the Irish health service. Public hospitals have been forced into financial dependence on income from private patients, allowed to jump the queue ahead of poorer, sicker patients. Even when public patients finally access treatment, the care they receive is generally inferior. Health expert, Maev-Ann Wren, has explained that consultants “have an economic incentive to favour private patients, which contributes to public patient waiting lists and leaves much of public patient care in the hands of poorly supervised and trained junior doctors”. Aside from the appalling injustice of this, it means delaying treatment of public patients until they are sicker and treatment is costlier. It is one of the main causes of the one million people on public waiting lists and rising healthcare costs. Unlike the consultant and GP organisations, which have historically blocked the introduction of free universal healthcare due to their economic interest in fee income from private patients, the INMO calls for “a free single-tiered, universally accessible, public health service where access is determined solely by need and not by ability to pay” and for all health professionals, including GPs, to be directly employed by the state. 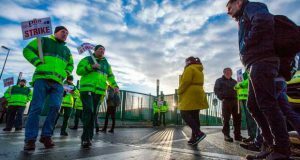 The nurses’ strike is therefore a strike for everyone who depends on the public health service – and for all workers crippled by the cost of private health insurance. What kind of public system? The Socialist Party supports the INMO demand for a universal free and fully public health service but would go further. An Irish National Health System must also be secular. 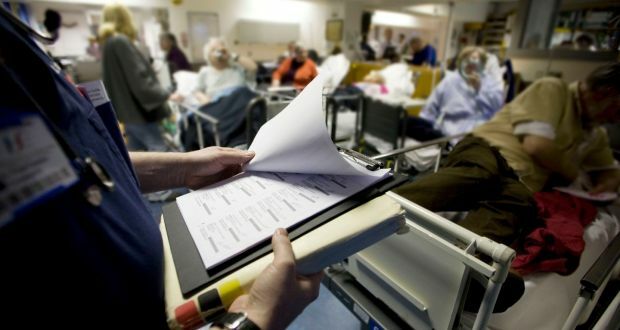 This means separating church and state: voluntary hospitals and other healthcare organisations must be freed from religious influence and along with the rest of the health service should be democratically run by workers and patients’ representatives rather than unaccountable managers. To enable optimal use of resources, private hospitals and healthcare companies must also be taken into public ownership. Public/private healthcare apartheid exists not only in the private ward in the public hospital but in the 21 private hospitals that account for one in six acute hospital beds yet deny them to the sickest patients. Another particularly striking example is the profit-hungry pharmaceutical companies that invent lifesaving drugs but price them out of reach of those who need them. – Take all private hospitals, pharmaceutical and healthcare companies out of hands of profiteers by putting them into democratic public ownership.